Having a window seat on a flight is very important to me, especially when riding an unusual and interesting aircraft like the Avro RJ85. 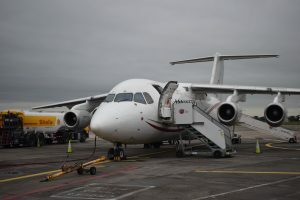 So naturally I was very concerned when my intended flight, the 16:30 DUB-LCY CityJet service on March 7th, was cancelled with a technical fault. Passengers were transferred onto the similarly half-booked 16:20 flight, but no window seats were available. After requesting that I be transferred instead to the 17:30, I was informed that this would mean I couldn’t claim back for the delay. No matter; the flight had only cost £32 in the first place. The ground staff were very helpful all round, but a late inbound aircraft slowed the boarding process to the point that I started to fear losing the daylight I needed for photos and videos. After boarding, however, I was approached by the steward who was carrying a piece of paper with my name on it. Apparently the ground staff had passed him the information that I was an enthusiast and he offered me a seat in row 2, in front of the curtain, arguably the best view on the Avro. The flight itself was a much smoother affair than my previous experience on an Avro RJ. This classic piece of British engineering has a few quirks, not least of which is the very loud sound when flaps and spoilers are being deployed. 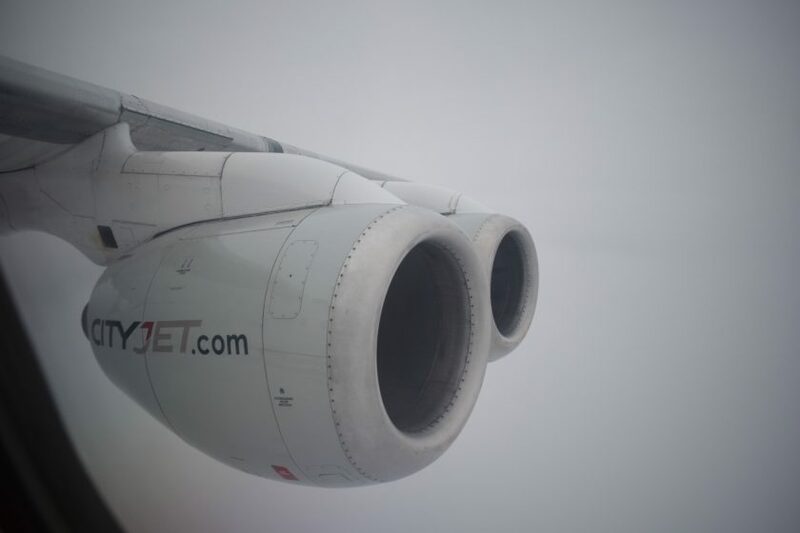 Familiarity with this made my second flight on the type seem much less eventful. Complementary in-flight service was a juice drink and some shortbread, comparable to that on BA Cityflier and generally not worth the higher fares on outbound flights from LCY, but a nice touch when you can land one of the cheaper inbound fares. An unexpected detour around Kent and the English Channel further delayed our arrival into London City, which afforded some spectacular night views of London from the south as well as Margate and Ramsgate. However the best part of the evening was yet to come. Just prior to landing, the steward returned, offering a chance to see the Avro’s flight deck once the flight had landed. 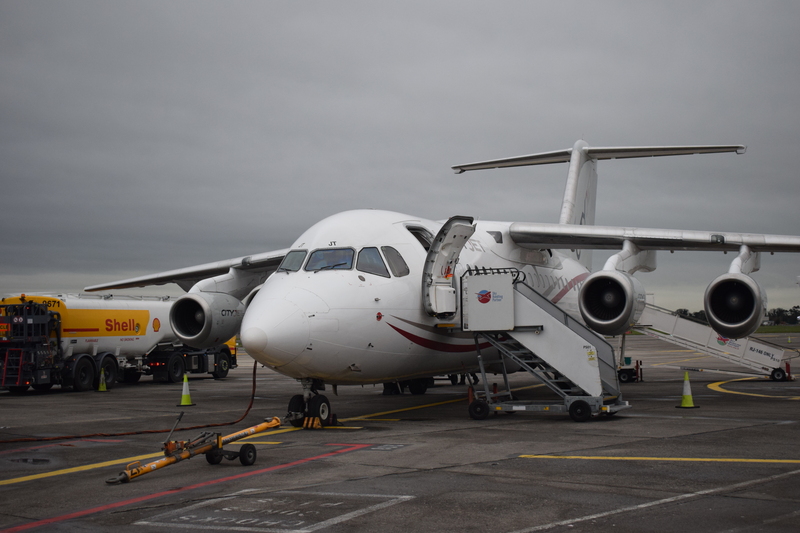 All in all this was one of the finest flights I’ve ever taken, with CityJet’s crew being helpful, accommodating and thoughtful throughout. Despite the initially disappointing cancellation, I ended up being very impressed and satisfied with the whole experience.